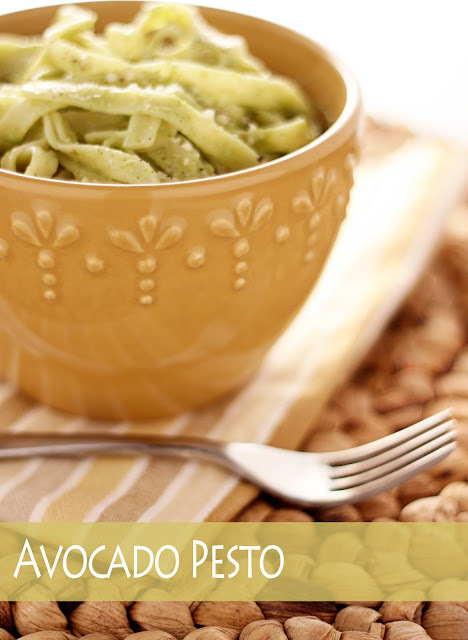 I have been drooling on my keyboard at the multitude of avocado pasta recipes flooding the Internet lately. But, it wasn't until I saw this recipe on one of my favorite blogs, A Cozy Kitchen, that I rushed to make my own. 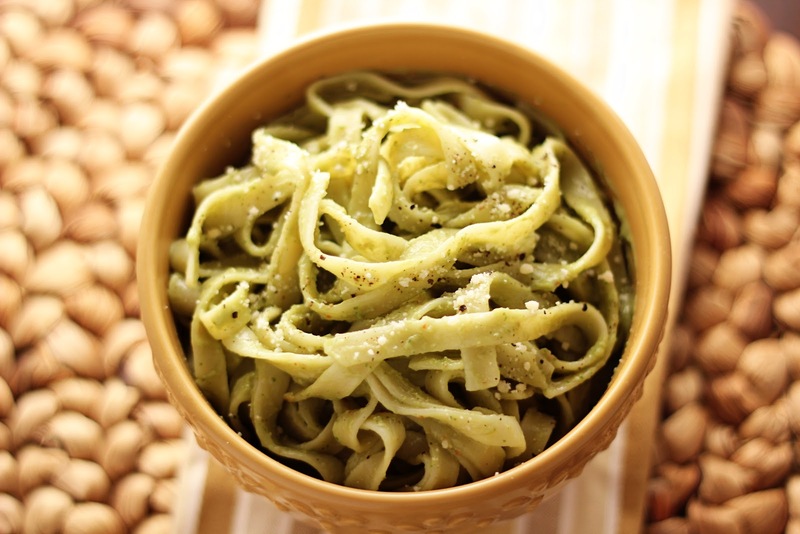 This dish combines everything that is wonderful about Pesto and Avocado. The sauce is light, yet creamy, with a bright summery finish. Best of all, it is easy to make! 1. Boil fettuccine in salted water. Cool until al dente. Reserve one cup of pasta water and strain. 2. In a food processor or blender combine basil, pine nuts, garlic, lemon zest and juice, seasoning (salt, pepper and red pepper flakes). Blend ingredients until well combined. 3. Slowly add olive oil while food processor is running. 4. Add avocado and blend until mixture is smooth. Now it is time to taste, season accordingly - I added extra lemon, salt and red pepper flakes. I also used the reserved pasta water to thin the sauce out a bit since it was too thick. 5. In a large bowl, toss fettuccine with sauce until well coated. This looks delicious! Will definitely have to give it a try. The timing of this is perfect. We had a pasta dish last night and I gave some to the baby along with a slice of avocado. He was pushing both in his mouth at the same time. The hubs thought the combo wouldn't be very good, but I was telling him a lot of people use avocado as a sauce for their pasta. Oh, that does look good. I like finding new ways to top pasta. I love pasta. I've never made own sauce or pesto but this looks managable. yum! i don't cook, but i will be passing this on to my husband. it looks amazing! I'm an avocado nut, so I'm pretty sure I would LOVE this! Definitely need to try it! Yum. PS. I'm your newest follower! Oh my goodness!! This sounds incredibly delicious and easy too. Thanks so much for sharing.